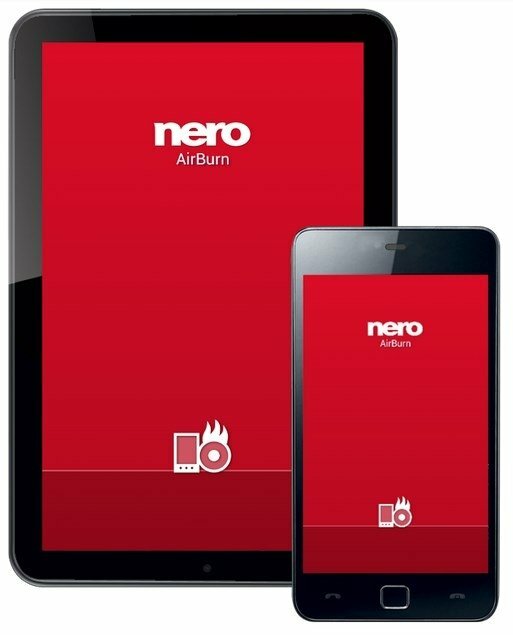 With Nero AirBurn on your Android device and Nero Burning ROM on your computer you can easily burn the contents of your mobile device onto an optical disc without needing any cables, just using your Wi-Fi network. 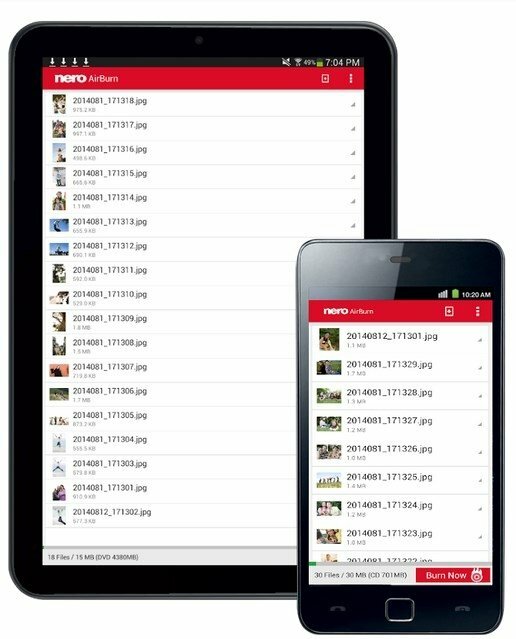 Choose the files you want to burn and Nero Burning ROM will copy them automatically. 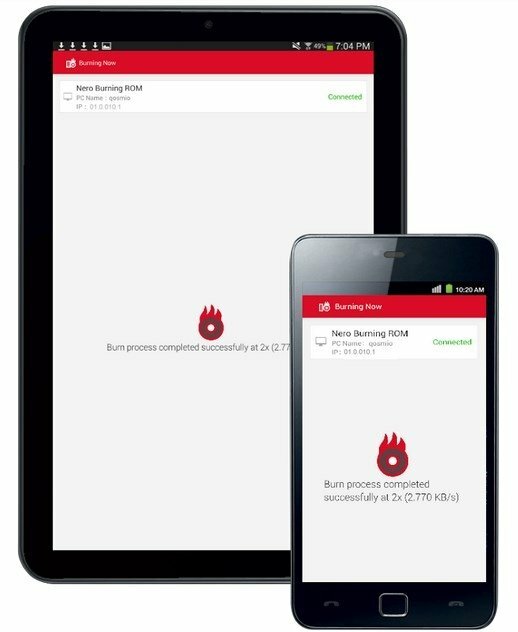 Burn your smartphone's files via Wi-Fi. Once you've chosen the files you want to burn, Nero Burning ROM on your PC will do so automatically. You can add files straight from different applications. Burn the files onto a CD, DVD or Blu-ray. You'll receive a message once the process has finished.